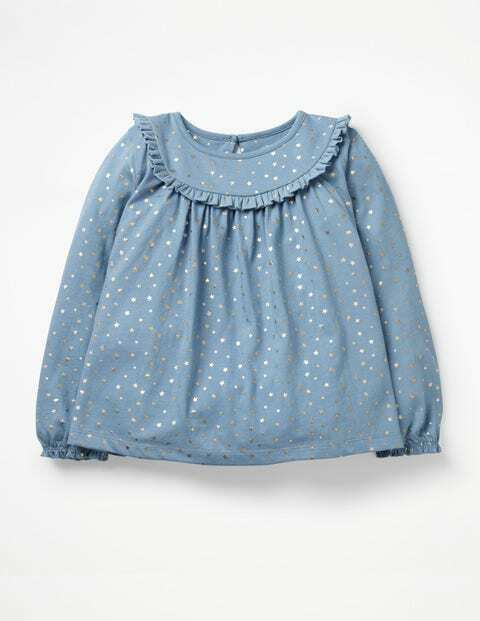 Running through the forest, storming castles, creating mud pie in the garden... our patterned top is ready. Frills take centre stage, but there are ruffles across the front and around the cuffs too. It's decorated with a fun shimmering print, and has gathers in the jersey fabric which give it a playful swing. With a wonderfully comfortable feel, this piece will be the star of every adventure.